The first Sunday of the NFL season is a huge day for football fans who have been waiting for months to see what their favorite teams and players can do on the field. 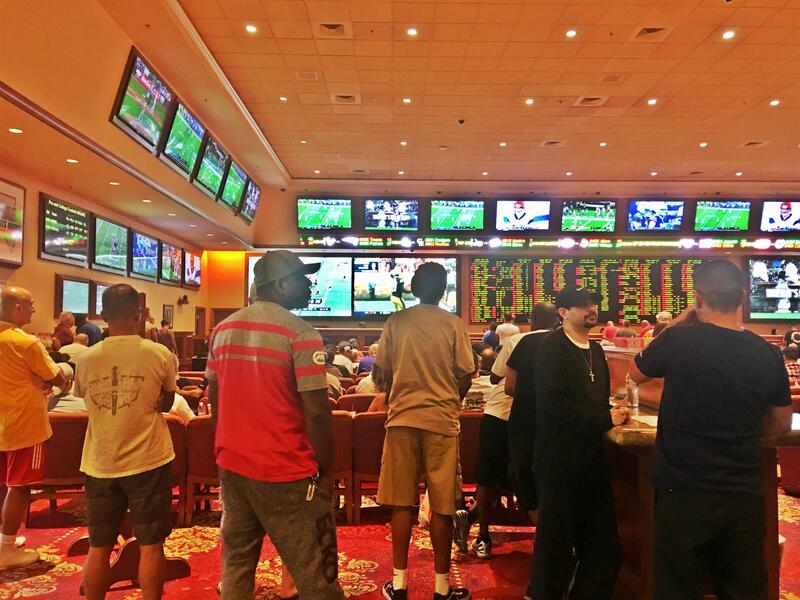 But it may be an even bigger deal for bookmakers, as the NFL is the biggest attraction for bettors in the United States, and Week 1 always sees gamblers visiting sportsbooks in droves. 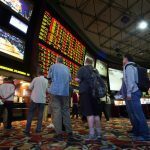 Sunday’s kickoffs took on added importance to the gaming industry this year, as it was the first time that sportsbooks in New Jersey, Mississippi, Delaware and West Virginia were able to take legal bets on individual NFL games, something that created long lines as excited gamblers turned out to put down some money with a regulated bookmaker for the first time. 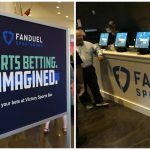 One of the most intriguing locations for betting was the FanDuel Sportsbook at the Meadowlands Racetrack, which is located about a mile from MetLife Stadium. That proximity to the stadium, where the New York Giants hosted the Jacksonville Jaguars on Sunday, provides a huge audience for FanDuel’s operation, though it can also lead to some logistical problems. But while the ability to bet near the stadium was a major attraction, many bettors had difficulty getting to the racetrack because of the tens of thousands of fans arriving at the stadium for the Giants game. The two venues share a parking lot, and on game days, a parking pass is required for entry – something that didn’t sit well with some visitors who just wanted to wager on the day’s NFL action. Other venues in New Jersey saw just as much excitement, without many of the crowd management headaches. Monmouth Park saw more than 400 people filling the William Hill Sports Book, with long lines at betting windows and reservations required for tables at the bar. 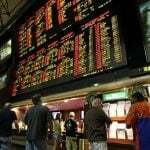 While sports betting is old news in Nevada, Week 1 is just as busy as ever for Las Vegas sportsbooks. 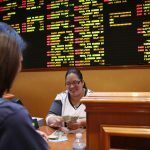 At the Westgate Las Vegas SuperBook, sharp bettors and casual fans alike came out to place bets on their favorite teams.